At Crestview we believe that it is important to be in regular intentional community with fellow believers. We encourage people to participate in and commit to a small group. We have several options with a diversity of formats, meeting times and activities. If you are interested in joining a group then please contact us. We would love to get you connected. Contact Deone with any questions regarding small groups at Crestview that you may have. Invite your friends! This study is done by Christian authors, but the material is only lightly Christian. It would be appropriate for most anyone. Please let Julie Huffaker know ASAP if you are planning on attending so that she can order a book for you. Books are $30 each. One per family is adequate. Scholarships are available. Click the logo for more info. Contact Julie. Thank you! About once a quarter, we meet on an evening at 7:00 pm at Espresso Vino in Lafayette near 95th street and Arapahoe, 2770 Dagny Way. Come and engage in stimulating discussion on a designated topic of choice. Bring yourself and a couple of friends as we ask even more questions of our topic and share some different answers and perspectives on the issue! See you there! 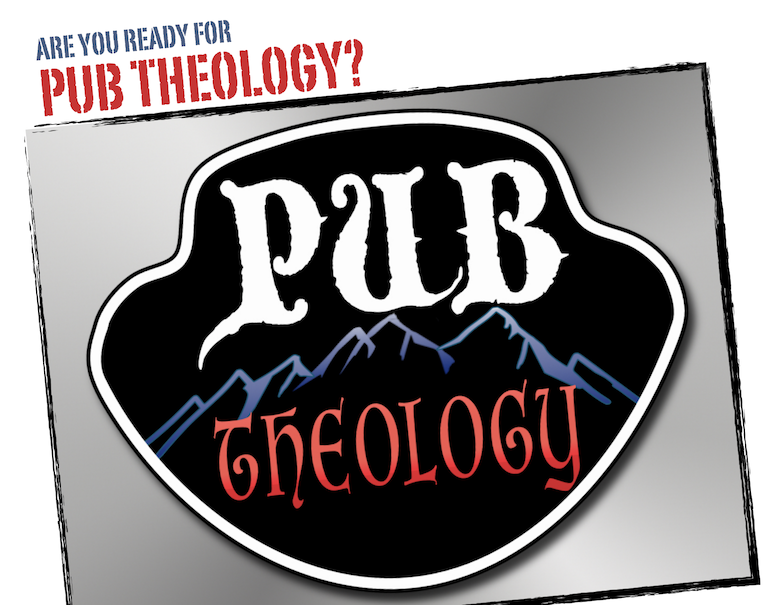 Thu, Feb 7, 2019: Pub Theology Night at Espresso Vino, Lafayette, 7 pm: Civil Religion. Thu Oct 18th, 2018: Pub Theology event at the Quist’s home, at 7:00pm: Social Isolation. Thur, Feb 15, 2018: Pub Theology at Espresso Vino in Lafayette, (95th & Arapahoe), 7 pm: Angels and Demons. Kick Off! Thur, Oct 19, 2017: Pub Theology at Espresso Vino in Lafayette, (95th & Arapahoe), 7 pm: The Creation Story. Each fall, a new group of people gather to explore and grow in their understanding of what it means to love their neighbor. We explore resources such as The Art of Neighboring by Jay Pathok and Dave Runyan, The Nine Arts of Spiritual Conversations: Walking Alongside People Who Believe Differently by Qplace, and some other models for Discipleship and Mission. We gather together and tell our grace stories, learn and implement loving our actual neighbors in tangible ways, and gather again to reflect on our experiences and tell more stories. We meet 3 out of 4 times a month from September to January. We just completed our first circle and will continue to meet once a month for a meal, encouragement, and story telling. This home group meets at 7 pm every other week on Thursday evening and is a book-based study. Sharing and discussion is usually over dessert. The current book of choice is Just Mercy by Bryan Stevenson. This gathering is on-going and open to newcomers. Specific format of the evening: Dessert from 7-7:30pm. Discussion from 7:30 – 8:30pm. Share and prayer from 8:30 – 9pm. We are a group of 20s + 30s young adults, professionals, and students. This year (2018-19) we are meeting once a month at someone’s house for dinner & a devotional together. This is a fun chance to eat, drink, laugh, talk about pop culture, and hang out with us. Come once or come every time, come solo or come with a friend. Wherever you are in your faith journey (starting out, asking questions, deeply rooted)… you are welcome here. Want to know when our next get-together is? Email Jackie at lamai1jj@gmail.com or join our Facebook group: https://www.facebook.com/groups/20and30screstviewchurch/. If group gatherings aren’t your thing, that’s okay too. Just email Jackie and we can do a 1-on-1 coffee meetup or get a small group together for lunch. For people who want to go deeper with a couple of other people in the areas of Bible Study, accountability and support, Crestview offers the opportunity for a group of three people to meet. These groups are self-started, and the group members together intentionally craft how they will spend their time together. Resources and ideas to help jump start a group are available.